Stocking Stuffer Alert! 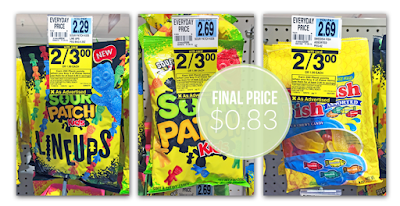 Visit Rite Aid for a great deal on Sour Patch Kids and Swedish Fish! The candies are on sale, two for $3.00. Plus, buy three and receive 200 Plenti Points. The Points are equal to $2.00 which can be used as a form of payment on a future purchase. Buy three bags and pay $4.50 out of pocket. 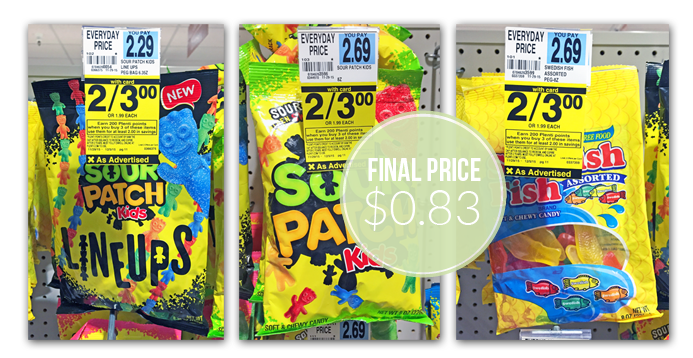 After the sale price and Points, the final price is $0.83 per package! Total $4.50 plus receive 200 Plenti Points, making them only $2.50 or 83¢ each after points!